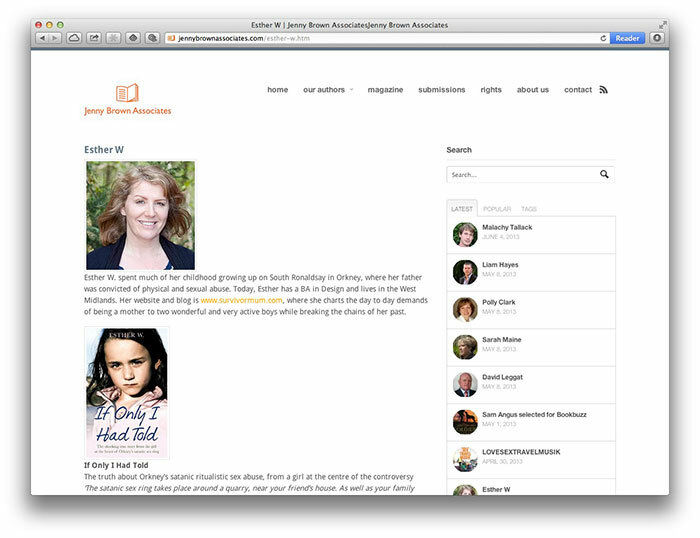 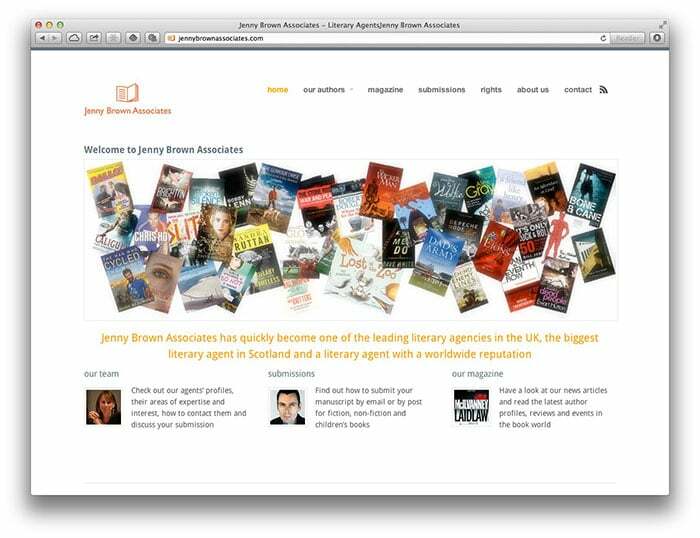 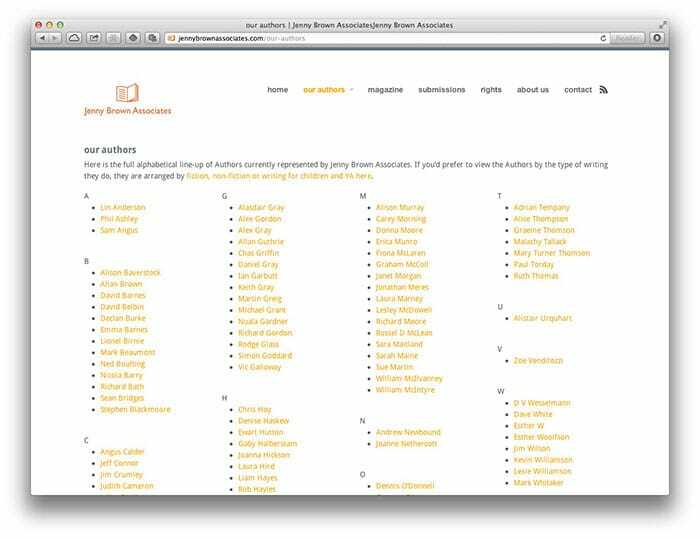 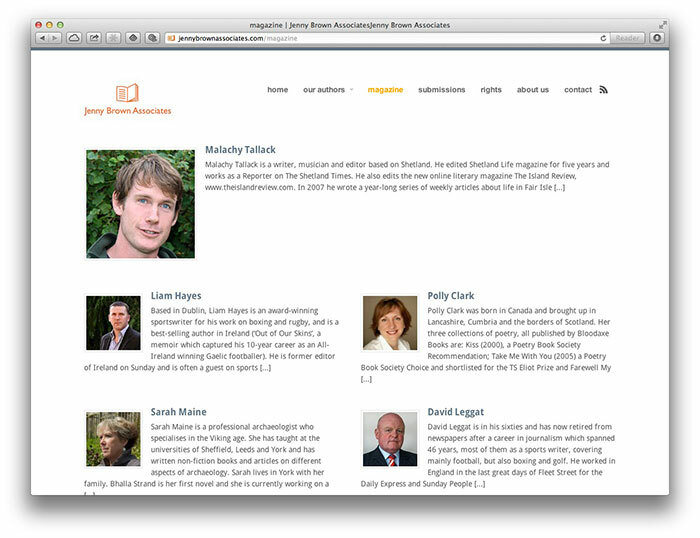 Jenny Brown Associates, literary agents based in Edinburgh, asked us to develop a website that was easily editable and responsive across a range of devices from desktop computers to mobile phones. 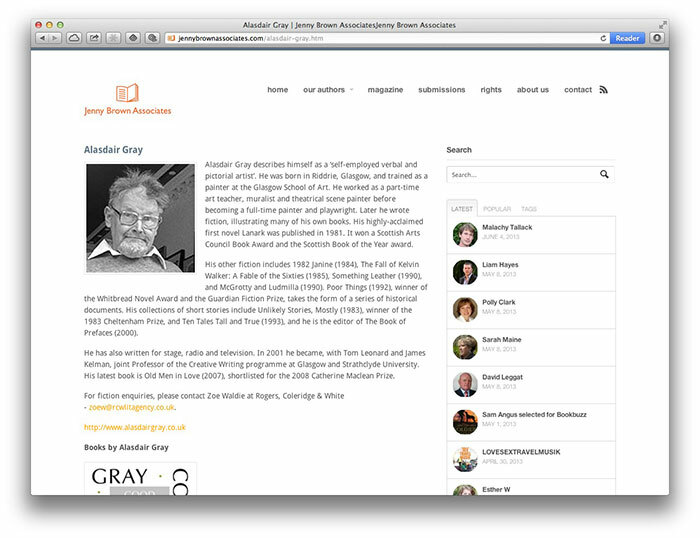 We developed a light-weight contemporary identity building on the previous work carried out by Richard Young Design Associates with prominence given to author profiles and publications. 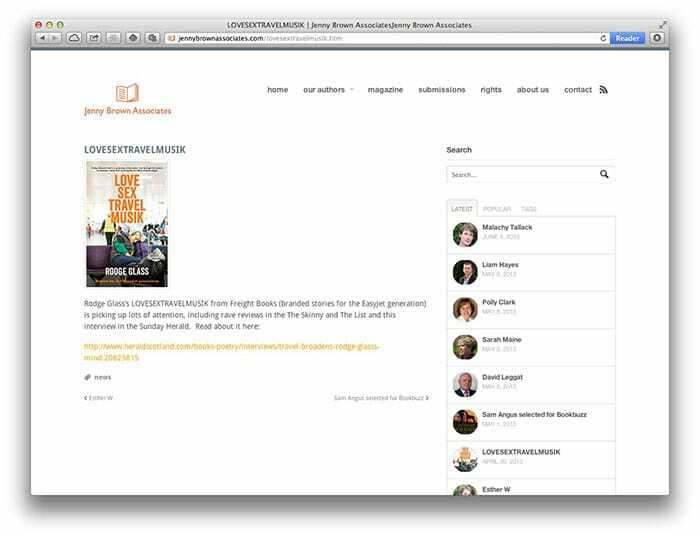 The new website builds on the strong visitor base established by the previous site by incorporating social media links which allow customer interaction with the company, its publications and its authors.